This autumn, Dela on Dominick Street, Galway, becomes Dela By Night after 6pm with their twist on winter dining. 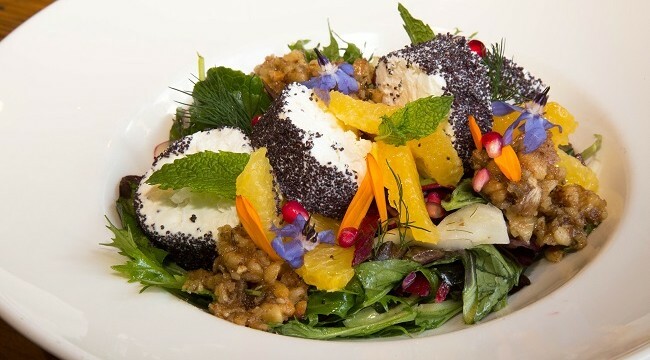 Dela Restaurant and farm pursues a sustainable ideal that allows this westend restaurant to support the local economy and community to produce creative, nutritious and honest food across all Dela menus. This summer Dela farm celebrated the addition of a new polytunnel which means that in late autumn and into early 2017, Dela Farm will be supplying the restaurant with vegetables, herbs and salads. Winter dining at Dela, sees the early birds in from 6pm to 7pm for two courses at €22. Dela at night has based their main dishes around the sea and the land. 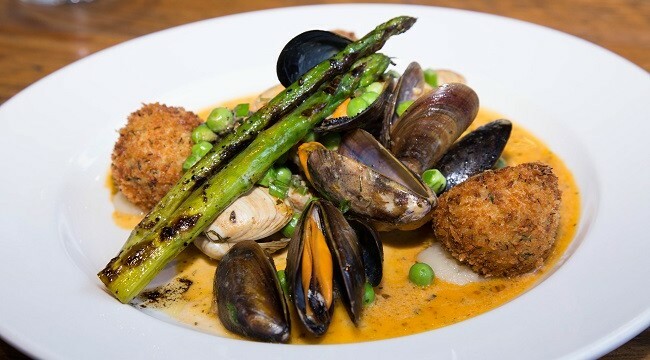 With Brady’s Striploin Steak with Portobello mushroom and caramelised shallots, served with Dela’s own house cut chips or if seafood is your thing sample the monkfish, Connemara mussels and clams with crab and smoked bacon croquettes and asparagus. The house favourite braised pork belly and breaded pig cheek with celeriac and apple slaw will not disappoint. Sharing boards are what Dela does best. There’s a veggie board with Galway Goat Farm goats cheese, quiona and roast veg stacks, falafel, olives and coriander salsa. 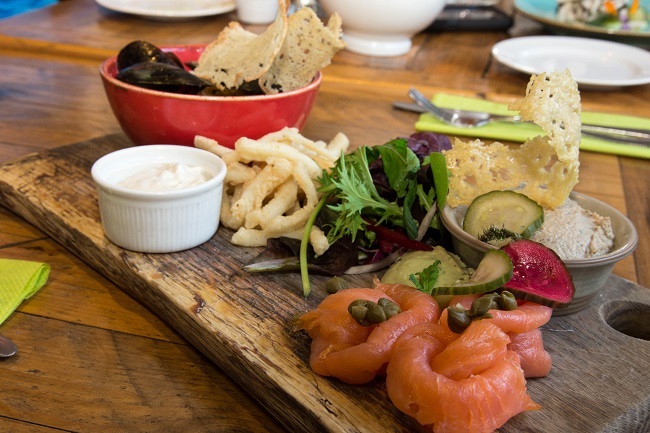 For fish lovers, the seafood board teams’ calamari, smoked mackerel, mussels and smoked salmon. Dela Restaurant is open from Tuesday to Saturday with Early Bird and Pre Theatre dinning from 6pm to 7pm. For more information follow Dela on Instagram, Facebook or Twitter, phone (091) 449 252 or log onto www.dela.ie.